Last Tuesday (6/26), the Charlottesville Planning Commission heard from a large number of citizens calling for their Comprehensive Plan process to have more public engagement, to be informed by the recently released housing needs assessment, to directly address racial inequity and to include ‘Social Justice’ throughout the document. Annie Stump tells #Charlottesville Planning Commission of her support for additional Comprehensive Plan Community Engagement. Housing Needs Assessment is a great first step. Calls out racial inequity in housing. We should be judged by how we serve our most marginalized. making a comprehensive surveys and studies of the existing conditions and trends of growth, and of the probable future requirements of its territory and inhabitants. The comprehensive plan shall be made with the purpose of guiding and accomplishing a coordinated, adjusted and harmonious development of the territory which will, in accordance with present and probable future needs and resources, best promote the health, safety, morals, order, convenience, prosperity and general welfare of the inhabitants, including the elderly and persons with disabilities. 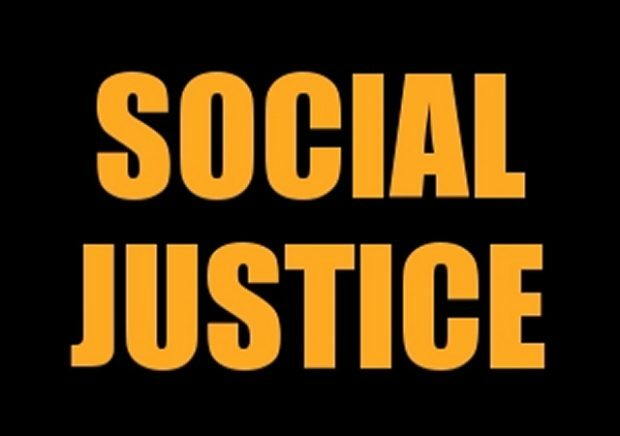 ‘Social Justice” is not a required element, but does it belong in the plan? Perhaps it depends on your definition of Social Justice. The equitable distribution of advantages and disadvantages in society? The proportional distribution of advantages and disadvantages as it relates to effort? The redistribution of resources from those who “unjustly” gained them? The equal distribution of opportunity? Social Justice as a concept arose in the early 19th century during the Industrial Revolution and subsequent civil revolutions throughout Europe, which aimed to create more egalitarian societies and remedy capitalistic exploitation of human labor. Because of the stark stratifications between wealthy and the poor during this time, early social justice advocates focused primarily on capital, property, and the distribution of wealth. By the mid-20th century, social justice had expanded from being primarily concerned with economics to include other spheres of social life to include the environment, race, gender, and other causes and manifestations of inequality. Concurrently, the measure of social justice expanded from being measured and enacted only by the nation-state (or government) to include a universal human dimension. For example, governments (still today) measure income inequality among people who share citizenship in common. In 2015, Ashland Virginia’s Senior Planner Garet Prior penned a thoughtful post “Planning’s Role in Social Justice” calling for the industry reconsider their role and recognize their ethical responsibility to advocate for social justice. History teaches us the necessity of taking intentional steps to define our role in public service, or else we allow the entrenched powers to direct our purpose, thus making us a tool in continuing the status quo. The Free Enterprise Forum applauds the concept of developing a wide range of choices as long as those choices continue to respect property owner rights. Prior’s argument goes further to suggest planning departments should be philosophically charged with advocating for specific outcomes rather than “opportunities”. “We shall seek social justice by working to expand choice and opportunity for all persons, recognizing a special responsibility to plan for the needs of the disadvantaged and to promote racial and economic integration. We shall urge the alteration of policies, institutions, and decisions that oppose such needs” (emphasis added). If we are in a true pursuit of equitable outcomes for racially and economically disadvantaged groups, then history informs us that advocacy — more than an urge — will be required. To fulfill this ethical call to advocacy, we need to better understand how change occurs. We should begin with a process of self-identification to be aware of our values, beliefs, and biases. In working with others, we need to understand that trust is necessary and will only be acquired through time. We need to get out of the office and form intentional relationships with underserved populations. . . This is a significantly higher level of advocacy than we see as appropriate from staff – the Free Enterprise Forum believes that the elected and appointed positions should be moving their planning philosophy forward and the professional staff should be following their lead. We completely agree there is a responsibility on the part of planning commissioners and elected officials to actively seek out the opinions of those who are often under represented/underheard in our community. This information, combined with all the other data that has been collected, should be considered. Considering all of the above and the state mandated goals of the Comprehensive Plan document, The Free Enterprise Forum believes that while ‘Social Justice’ is an important element to our community conversation but should not be a separate chapter in Charlottesville’s Comprehensive Plan. Previous Is Charlottesville ready for Collins’ Affordable Housing “Marshall Plan”?